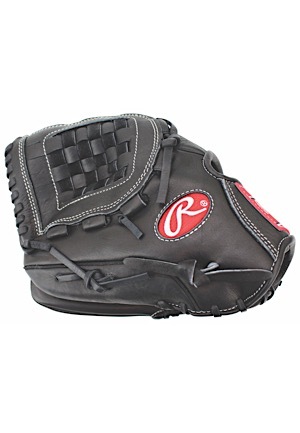 Rawlings manufactured “GG20G” baseball glove. 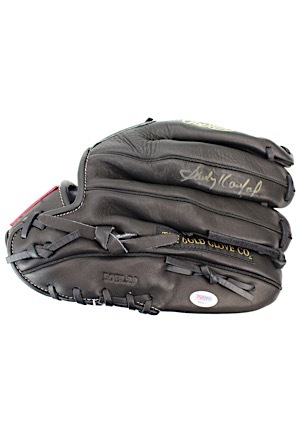 Sandy Koufax signed down the finger loop in gold marker and in our opinion the signature rates a 7. Beneath the signature is a PSA/DNA sticker serial number “TO9040”. Accompanied by a LOA from JSA.